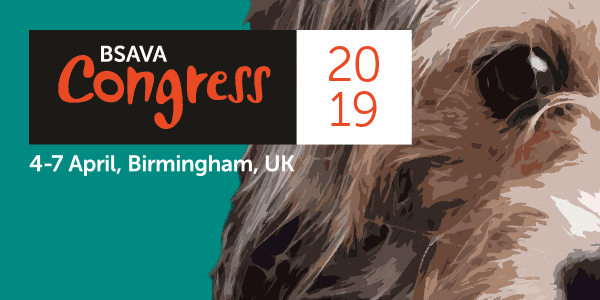 As part of BSAVA Congress, to be held at the Birmingham ICC and Arena Birmingham from 4-7 April 2019, the Big Issues stream on Friday 5th April will aim to keep delegates up to speed on key developments and challenges affecting the profession. This year speakers will address some of the unpredictable issues that are integral to the veterinary landscape of today and highlight that, despite these, many recent successes have been achieved. Preparations for Brexit and all of the unpredictability it brings has been the primary focus for parliament and government for much of the past year. The related debates and negotiations which determine Brexit decisions can often be little understood, leaving those affected by them questioning outcomes. Professor the Lord Trees will aim to support vets’ understanding of the rationale underpinning decisions and their impact on the profession. However, Brexit has not been all-consuming and much else has been achieved by government and the profession working collaboratively to introduce legislation and policies, along with all their unexpected challenges, across a range of areas affecting the companion animal sector. Our prestigious panel of speakers which includes CVOs and the Chair of CFSG, will look at The ABC of Achievements, Brexit and Challenges including the practical implications and potential impact for vets who are involved in work relating to companion animals. Maintaining the availability of medicines is fundamental to the provision of adequate care for veterinary patients. Professor Peter Borriello, CEO of the Veterinary Medicines Directorate (VMD) and Dawn Howard CEO of the National Office of Animal Health (NOAH) will discuss Medicines: Ensuring Supply Despite Crises. They will explore the unpredictable challenges, whether dependent on Brexit or other factors, that can potentially threaten the supply of medicines vital to companion animal veterinary practices and how these unexpected events can be tackled and resolved by working together. Signing on the dotted line, either in relation to passports for pet travel or export certification for companion animals and their related products, can be stressful for many companion animal practitioners especially when, despite best efforts, the unexpected still happens and matters go awry. With Brexit a potential reality, there comes an increased requirement for certification which in turn increases the existing stressors and pressures for vets. BSAVA President Philip Lhermette, together with Dr Mauricio Lopez, Head of Veterinary Trade Facilitation, Animal and Plant Health Agency (APHA) and Michael Stanford, Veterinary Claims Consultant, Veterinary Defence Society (VDS) will share for the first time the results of the BSAVA 2018 OV survey in looking at The Perils of Passports and Certification: Avoiding Litigation and will endeavour to better equip and support vets in companion animal practice to manage the unpredictable. The digital age brings constant advances in technology, presenting professionals with the opportunity to extend their reach and leverage their skills to support those in need of their services. Dr Kate Richards, Chair of the RCVS Standards Committee, Dr Thom Jenkins, CEO of Gula, Richard Guest, CEO of telemedicine consultancy Morgan Frey and Simon Doherty, President of the BVA will discuss Telemedicine: Patient Care in the Digital World The panel will aim to help delegates navigate relatively unchartered territory and make informed decisions, despite unexpected challenges, on the future of telemedicine and its potential impact on not just them, but also their clients. 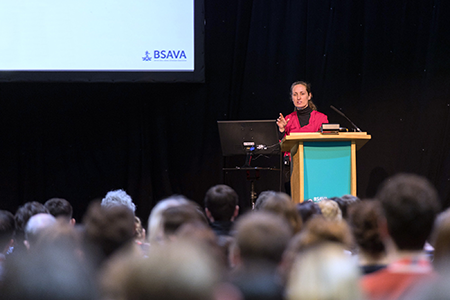 See the sessions in the full BSAVA Congress programme here.